There is 1 reply in this Thread. The last Post ( Jun 6th 2013 ) by insightAVIATION. 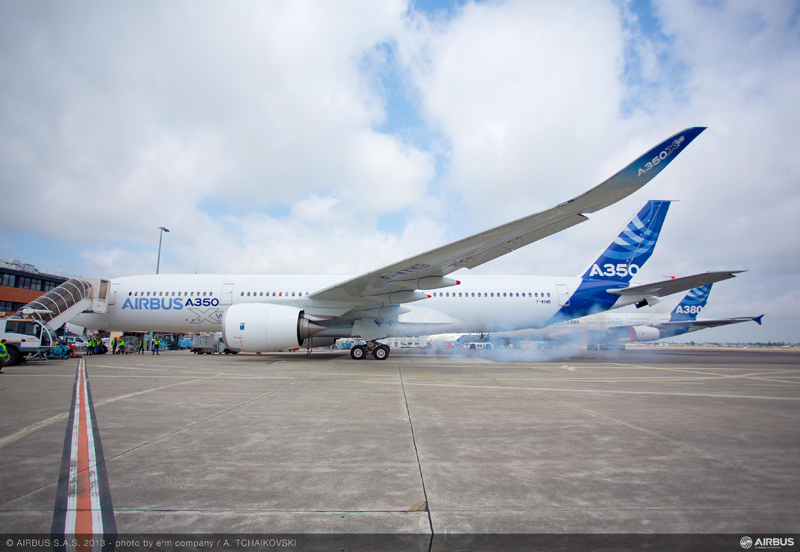 Rolls-Royce’s Trent XWB engines have run for the first time on the A350 XWB (MSN1) following the start-up of the Auxiliary Power Unit (APU), as part of the preparations for the aircraft’s maiden flight. Combined with the A350 XWB’s lightweight structure and advanced aerodynamics, these latest generation engines with their exceptionally low fuel consumption help cut fuel burn by 25% compared to previous generation competing long-range twins. The A350 XWB is the all-new mid-size long range product line comprising three versions and seating between 270 and 350 passengers in typical three-class layouts. The new family will bring a step change in efficiency compared with existing aircraft in this size category, using 25 per cent less fuel and providing an equivalent reduction in CO2 emissions. Scheduled for entry-into-service in second half of 2014, the A350 XWB has already won 616 firm orders from 34 customers worldwide.